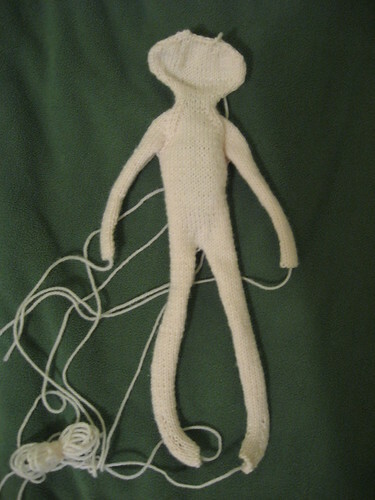 Nekkid Man progress, originally uploaded by Craftydiddl. An update For you andrea 🙂 I know not much yet but there will be more. Note to others-he will be getting jeans and a cardigan as well so not naked forever 🙂 just a few days-some seaming and stuff hopefully tomorrow if i don’t feel too lame-seaming is something that must be done carefully and fully focused. He’s going to be very cute! !